Frogner Park is a quite interesting location. With its big lawn areas, it is the perfect spot for a barbecue, a picknick or just some downtime. 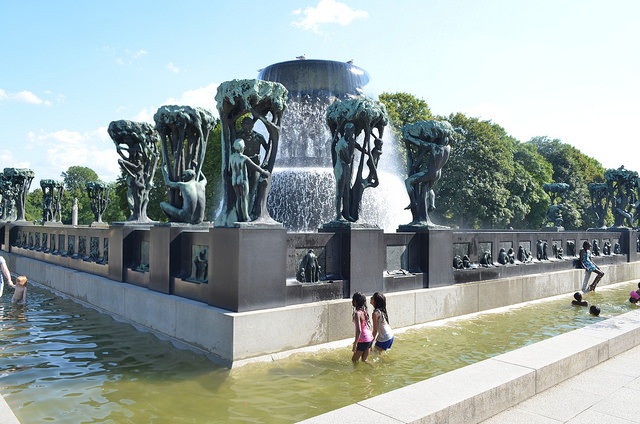 However, the main attraction of the park is the Vigeland installation with 212 sculptures designed by Gustav Vigeland. The sculptures revolve around the basic theme of the „circle of life“ and create a quite surreal and sometimes haunting atmosphere. The harbor with its beautiful newly designed skyline is another one of my favorite spots in the city. Locals call the skyline the „barcode“ since it is constituted of black and white tall buildings, which make a great contrast to the beautiful old x hotel. 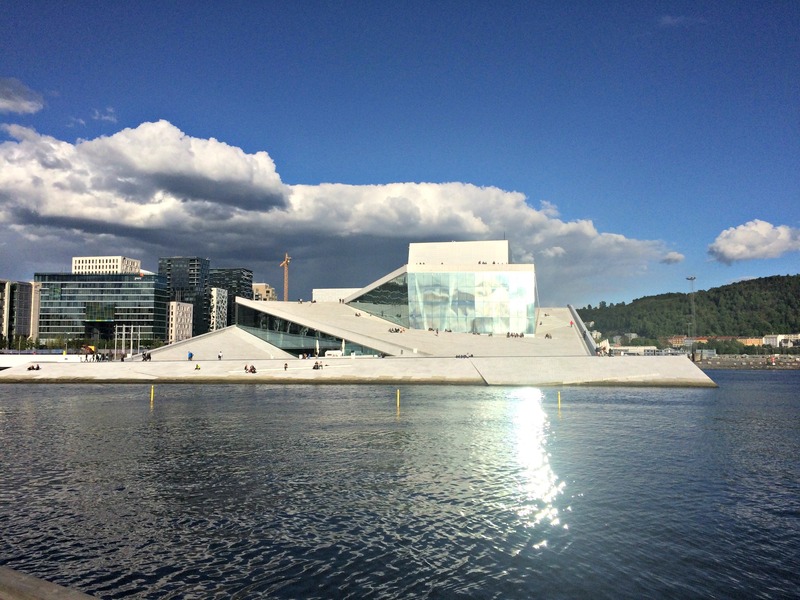 The coolest building, however, is the Oslo Opera House. The roof is leveled with the ground floor, making it super accessible and the perfect spot to enjoy the view. Karl Johans gate and the Royal Palace: While the Royal Palace is not as exciting and accessible as other palaces in Europe, I really like the main street Karl Johans gate, which is leading up to the palace, and its atmosphere. For me, it almost has a Champs Elysée like feel to it, with its high-end shops. But there is a lot more to it, like the old University buildings, the National Museum, and the pond with the spiky fountain that serves as an ice skating rink in winter. Oh, and the view from the palace down onto Karl Johans gate is not too shabby either. Grünerløkka might be for Oslo what Kreuzberg is for Berlin. It used to be a traditional working class district with several factories located along the river. 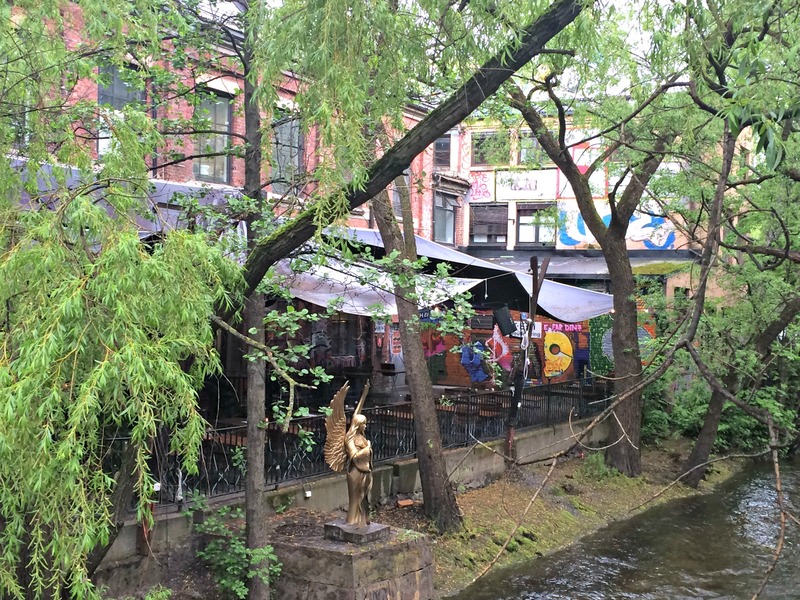 Today it’s one of Oslo’s up and coming neighborhoods with many bars, event locations, great coffee shops, and an upcoming discussion about gentrification. The river banks are perfect for an afternoon stroll and the factories have become various loft-style bars with a view over the river. 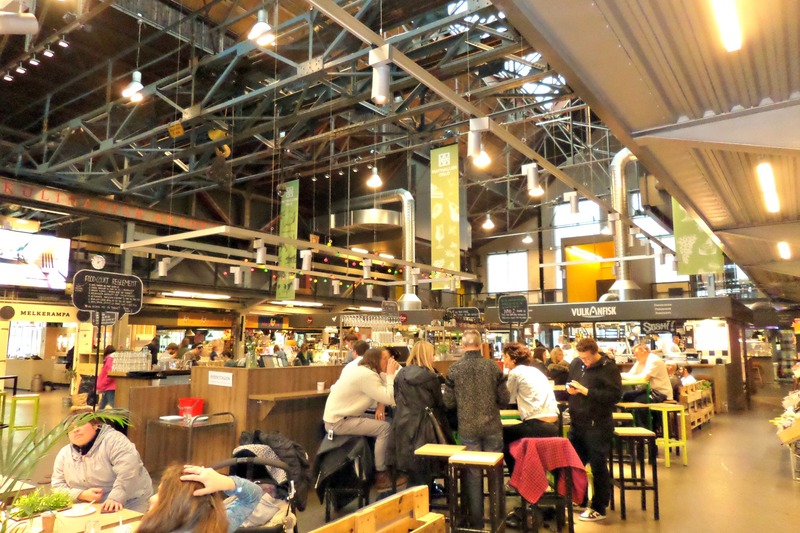 My favorite spot in this neighborhood, however, is the Mathallen Oslo, an amazing indoor market with plenty of interesting food and artisanal crafts. For more bars, restaurants, and exceptional stores, you should definitely check out Markveien, the main street of Grünerløkka. 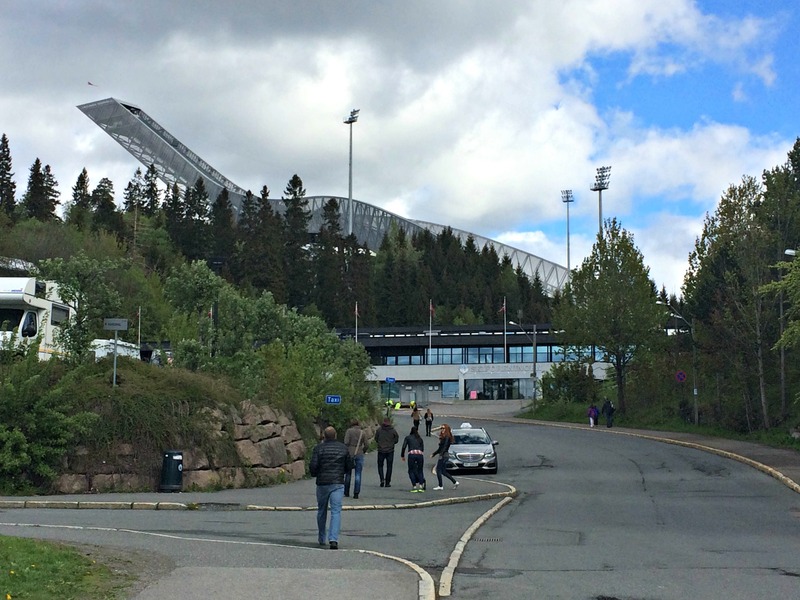 Holmenkollen, the ski jump turned landmark, is located a little bit outside the city but definitely worth a trip. 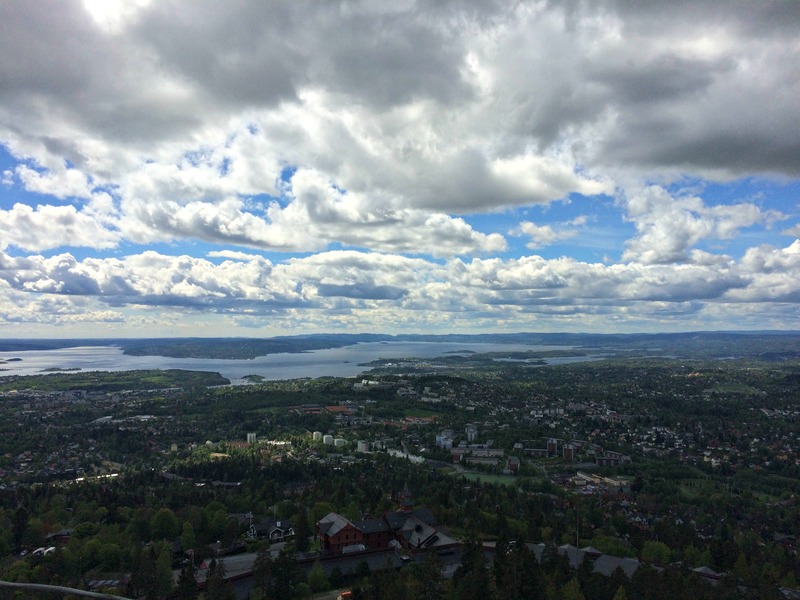 The sports fans get to enjoy the world’s oldest ski museum, but the amazing view over the city, the inner Oslofjord (where the harbor is located), and the beautiful countryside outside the city limits is a highlight for everyone. 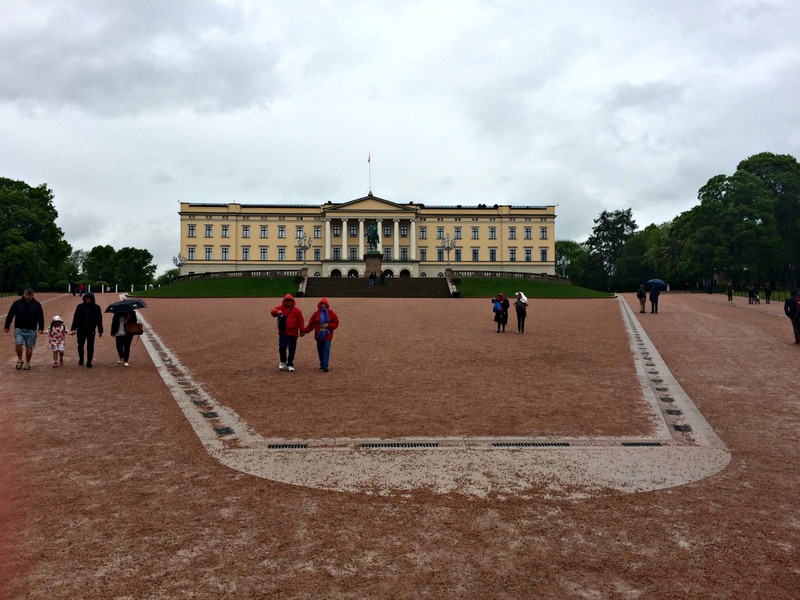 What is your favorite spot in Oslo? I’d love to spend time in the ancestral homeland someday. Oh my gosh, Oslo looks amazing! It has never been on my radar until now. I can’t wait to make it happen. What time of year were you there? Mah Julia, ich war ja schon lange nicht mehr hier ! Wienlange warst du genau in Oslo ?? I’m glad I saw this before my trip. I’m definitely tweeting this because Ill need it for my trip there. The Frogner Park picture looks amazing. It’s been on my bucket list for forever.. your beautiful photos make me want to go right now!! This looks so amazing. All of my blog travel friends have such great places to go and I cant see them all! So many places I would love to visit and this is one of them.. Thanks 🙂 I keep my fingers crossed for you! Lovely pictures and great source of information Juliet. 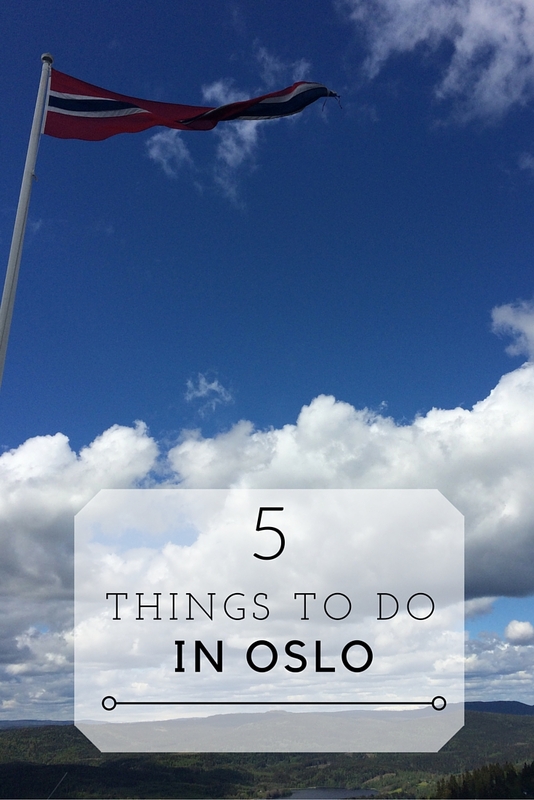 Your article wants us to pull out Oslo from our bucketlist to the top and plan a visit soon. Thanks for sharing. Haha, I support that 🙂 Glad you liked my post! I need to go there! Definitely on my list of places to visit, it looks like a great city! That’s it. I need to go to Oslo. My husband is half Norwegian and spent a lot of time in Norway growing up, and keeps telling me he’ll take me. I hope it happens soon, because I keep seeing awesome posts like this one reminding me how amazing it is!